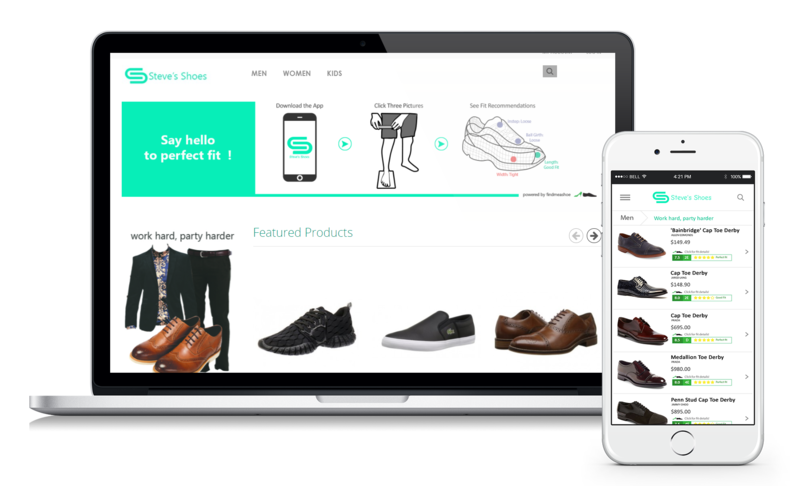 Findmeashoe offers a variety of services to footwear manufacturing & retail ecosystem. Our flagship mobile app service for consumers and retailers, “Try Me” brings together sizing technology and e-commerce to produce the perfect solution for the perfect fit. For the consumer, the mobile app only requires downloading and snapping a few pictures. From there, our software takes care of the rest—analyzing the foot, producing a precise fit profile, and making the best recommendations for footwear in the styles and brands shoppers want. 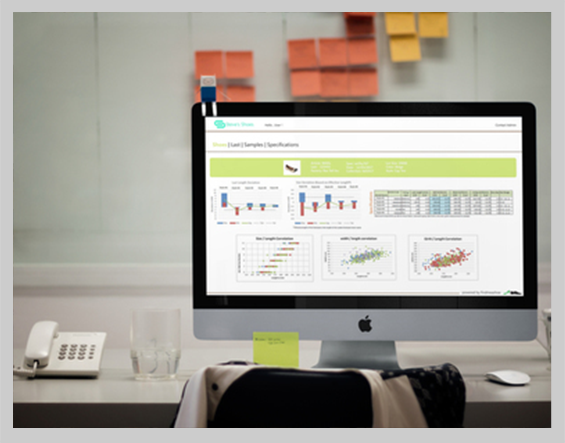 With Fit Studio, Findmeashoe offers its precision-measurement technology to brands and manufacturers to ensure quality footwear production. Our application can be integrated into any quality-assurance program, assessing whether shoe prototypes and the batch-manufacturing process meets product specifications for size and fit. For retailers, our “Get Me” service elevates in-store customer service to a premium level. 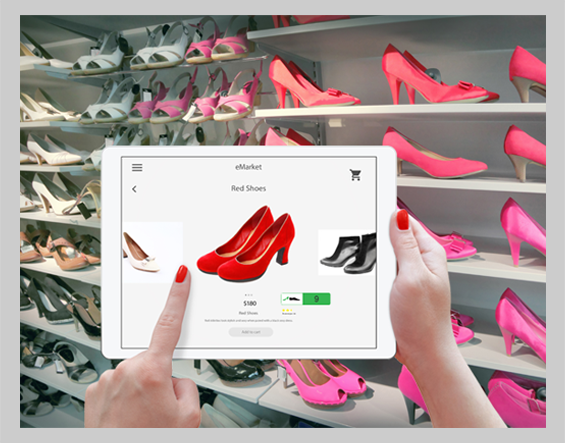 Retail staff can use the app directly with customers, helping them create their profile and working with them via in-store websites to select the perfect fit without the time and frustration of manually trying on each shoe and style. By linking our process to the inventory system, staff can find the right shoes fast, determine in-store availability, and immediately produce an order for out-of-stock items. 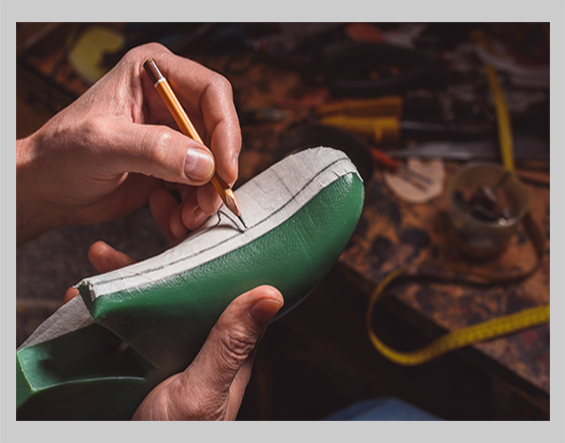 Brands, manufacturers and retailers that offer custom shoe-fitting and design now have a powerful tool at their disposal. Findmeashoe’s foot-measurement application can be used to produce precise measurements of individual customers feet—resulting in the perfect fit. Our foot profile reduces the need for adjustments and changes—saving time and money for customers and custom shoe producers at all levels.